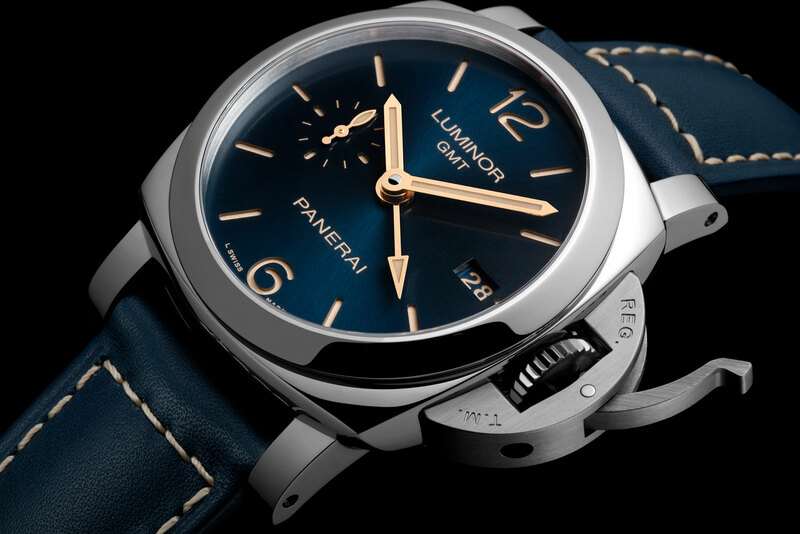 Best known for its military-inspired watches, Panerai has been evolving towards a more polished civilian style, exemplified by the recently launched, extra-thin Luminor Due. 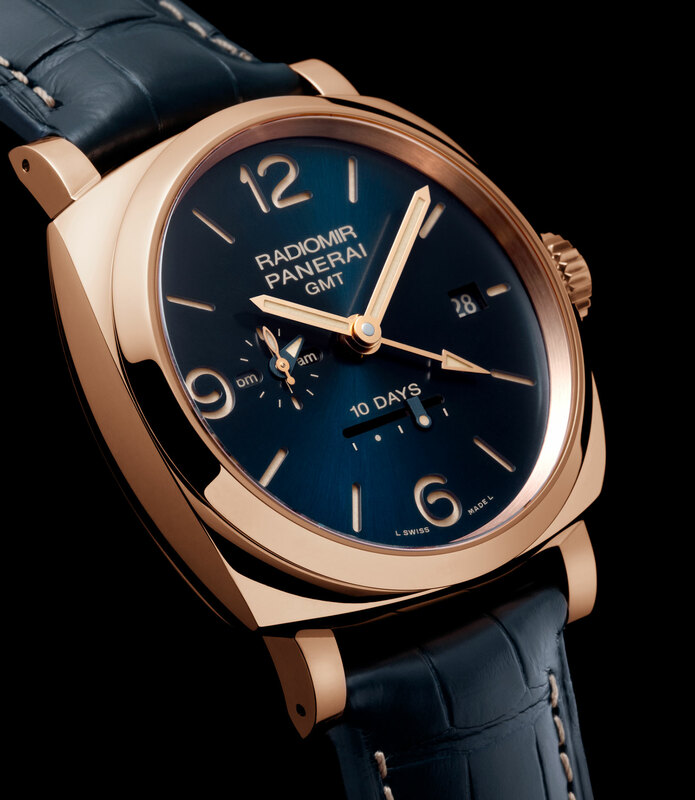 The latest debuts from Panerai continue in that direction, with four watches featuring metallic blue dials. While all four models are different, all share a metallic blue dial with a sun ray-brushed finish, matched with gold hands and ecru Super-Luminova. The dials have a sandwich construction, with a lower dial plate covered in luminous paint covered by an upper dial plate with cut-outs for the hour markers. All watches in the blue dial series are delivered in a cherry wood box lacquered dark blue. The first and smallest of the series is Luminor 1950 3 Days GMT Automatic (PAM00688), which is 42mm, stainless steel and equipped with the P.9001 automatic movement that has a second time zone and date. It’s limited to 300 pieces with a priced of US$8600 or €8400. 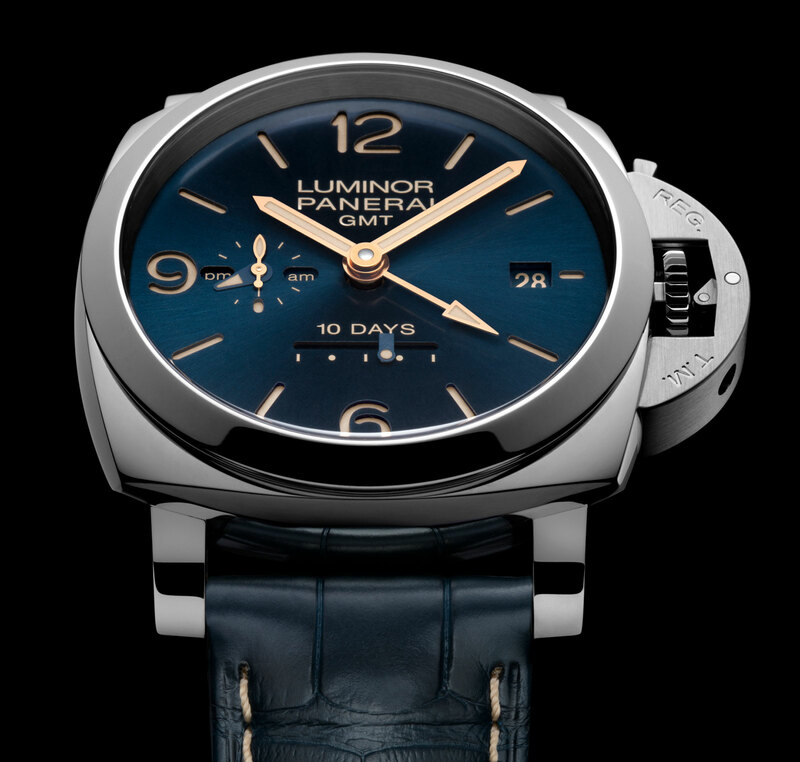 The Luminor 1950 10 Days GMT Automatic (PAM00689) also steel, but larger at 44mm and more complicated. 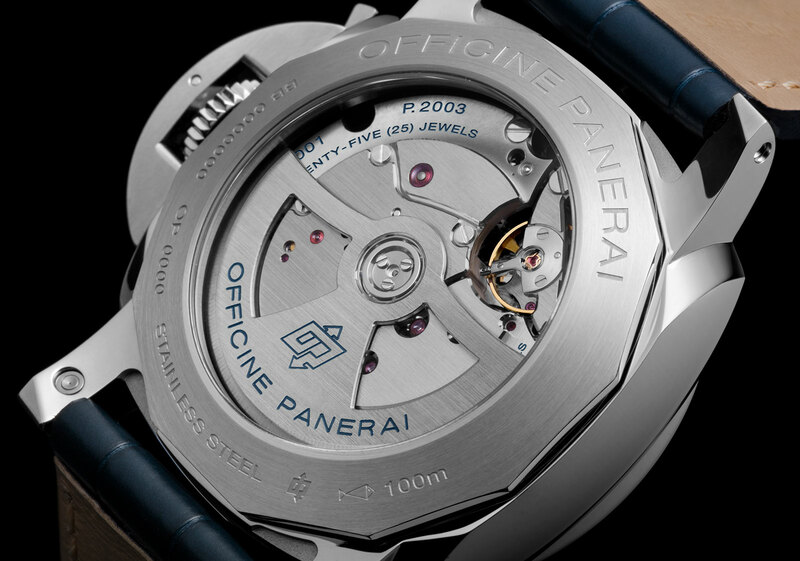 The P.2003 movement inside is automatic with a 10-day power reserve. It features a date, second time zone, 24-hour indicator as well as linear power reserve. This is limited to 300 pieces with a price tag of US$13,400 or €13,000. 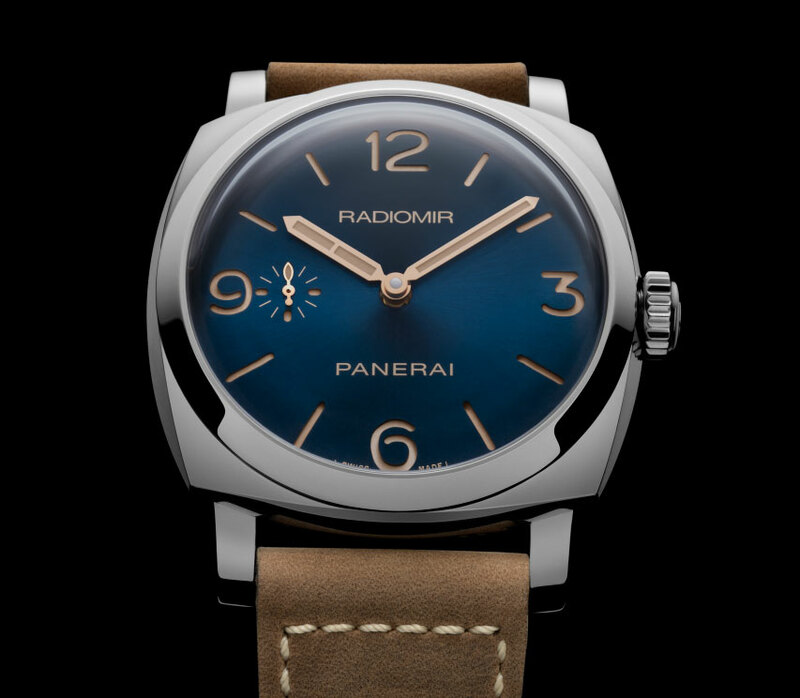 Perhaps the most interesting of the lot for how it blends a vintage-esque look with the blue dial is the Radiomir 1940 3 Days (PAM00690). We just took a hands-on look at this, but briefly, the PAM690 is a steel, 47mm Radiomir 1940 with the P.3000 calibre inside (the first generation, not the latest one with separate wheel train bridges found in the “tropical” dial Special Editions PAM662 and PAM663). Limited to 500 pieces, this will cost US$9200 or €8900. And the last of the quartet is the most expensive: the Radiomir 1940 10 Days Automatic Oro Rosso (PAM00659). The red gold case is 45mm, while inside is the P.2003/10 movement. 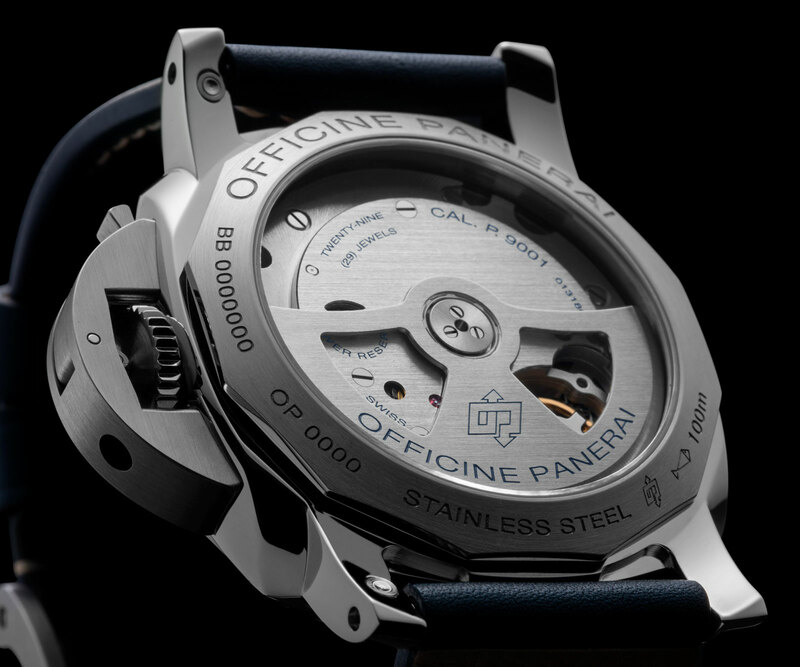 It’s mechanically identical to the movement inside the PAM00689 above, except it has been skeletonised. This is priced at US$35,900 or €35,000, and is limited to 200 pieces. No word yet if the blue dial will be repeated on other watches, but given precedent, it’s highly likely this won’t be the last of the colour. 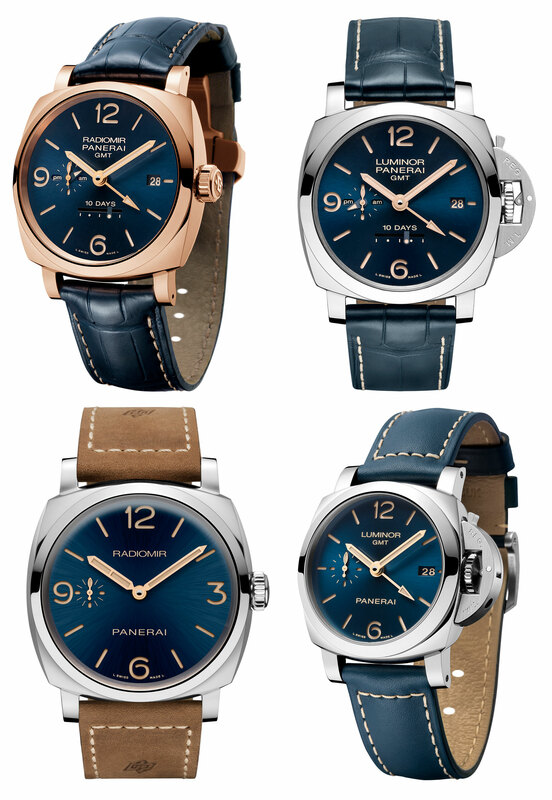 All four Special Editions are sold only at Panerai boutiques, and will be available starting end July 2016.